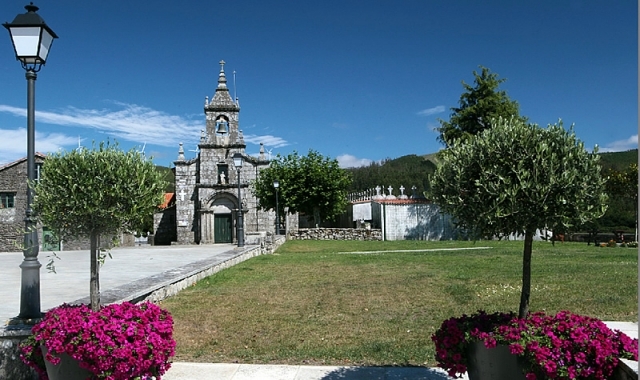 Dumbría, situated just over 8 kilometres from the beginning of the stage, is a good destination for those pilgrims who prefer to have breakfast part way through the journey. Throughout this urban journey they will find a number of café-bars where they can have a snack, such as in O Tuto, Tarrelo, Truanés (with a supermarket) and Suárez. The most popular restaurant in the area is Mesón O Argentino, owned by the guesthouse of the same name (consult the section on accommodation). If you are traveling on the Camino de Santiago or are planning to do so soon, you should know that the distance separating Dumbría from Santiago de Compostela is 63 kilometers.